Banking activities in Brazil are subject to extensive and detailed regulations issued mainly by the Central Bank of Brazil. Currently, however, there are no specific regulations concerning private banking activities per se. The Brazilian Association of Financial and Capital Markets Entities (ANBIMA), a private self-regulatory association dedicated to improving the standards and best practices in the Brazilian financial and capital markets, coordinated the preparation of a code to be observed by participants when conducting private banking activities (ANBIMA Private Banking Code). It is also worth mentioning that other regulations issued by the Central Bank of Brazil and the Brazilian Securities Commission (CVM) should be observed by market participants involved with private banking and wealth management activities, as applicable. Such specific regulations are detailed herein where appropriate. The Central Bank of Brazil is responsible for authorising and supervising the activities conducted by Brazilian financial institutions. In addition, all entities carrying out discretionary asset management activities or non-discretionary securities advisory activities are subject to accreditation with and supervision by the CVM. The main self-regulatory body in respect to private banking and wealth management activities is ANBIMA. Private wealth services are typically performed either by specific departments of Brazilian financial institutions or by independent asset management entities. providing information in order to assist clients on their decision-making process. issuance of a Presidential Decree, in case of the organisation of a financial institution controlled by foreign capital. In addition, it is worth highlighting that the ANBIMA Private Banking Code also sets forth minimum requirements for the performance of private banking activities, including requirements related to the structure and personnel dedicated to such activities within the institution, as well as the adoption of certain policies and manuals. Financial institutions must meet the requirements for obtaining the licence, as well as meet on an ongoing basis several other requirements imposed by the Central Bank of Brazil under sparse regulations, including, for example, those related to governance, internal controls, accounting and reporting requirements. Furthermore, all corporate documents, amendments to the bylaws, capital increases and other non-routine corporate acts of financial institutions must be previously approved by the Central Bank of Brazil. Private banks are typically organised under the form of specific departments within Brazilian financial institutions designated to cater to the financial needs of wealthier individuals. Brazilian financial institutions may be generally organised in the form of commercial banks; investment banks; multiservice banks; foreign exchange banks; credit, financing and investment companies; securities dealerships; and brokerage companies. There are no specific licences for purposes of private banking. The licence for a financial institution may take from one to two years to be granted. if the Central Bank of Brazil verifies the existence of certain conditions, such as the company’s inactivity or breach of its business plan. The performance of securities portfolio management activities and non-discretionary securities advisory activities are subject to licensing and supervision by the CVM. Under Brazilian regulation, securities portfolio management activities are distinguished between (i) fiduciary administration, consisting of the direct or indirect responsibility for custody and controllership of assets and liabilities and, generally, for supervision of the markets healthiness; and (ii) discretionary asset management, consisting of the investment decision-making activities. Consequently, it is possible to seek a licence to carry out fiduciary administration, discretionary asset management or both. It should be noted that individuals or entities accredited as discretionary asset managers are automatically authorised to perform non-discretionary securities advisory services, thus not requiring a specific authorisation from the CVM for such purposes. prepare a reference form, which is a document similar to the prospectus of a listed company. As of this moment, there is no specific regulation in force dealing with the requirements for obtaining and maintaining a non-discretionary securities advisory licence. Nevertheless, the CVM has set for public hearing a proposed regulation with the purpose of extending to non-discretionary securities advisers similar standards to those applicable to discretionary asset managers. The criteria for obtaining such a licence shall be clarified once the CVM effectively issues the definitive regulation. The conditions required for obtaining the asset management licence must be met on an ongoing basis. In addition, asset management entities shall file updated versions of their reference forms with the CVM annually. Moreover, asset management entities must prepare policies and manuals as required under Brazilian regulation. The reference form and such policies and manuals must be kept up to date and made available on the entity’s website. There are no specific anti-money laundering and financial crime prevention requirements for private banking and wealth management, but rather for financial institutions in general. Similar requirements also exist for asset managers and securities advisers. reporting of suspicious transactions to the Council for Financial Activities Control (COAF). In summary, politically exposed persons (PEP) are defined under Brazilian law as any government officials who have held or been entrusted with, during the previous five years, in Brazil or in foreign countries, territories and jurisdictions, any prominent government position, employment or function, as well as their representatives, relatives and close associates. assessment by senior management regarding the interest in initiating or maintaining a customer relationship. a signed statement regarding the purposes and type of the business relationship with the institution in question. Asset managers and securities advisors are also required to keep records of customer data, which shall contain customers’ full identification and appropriate documents. Brazilian legislation establishes tax fraud and money laundering as different criminal offences. The characterisation of a tax fraud depends on the wilful act of evading taxes through false statements, omission of information, falsification of documents and other similar procedures. On the other hand, money laundering crimes are verified upon the concealment or dissimulation as to the true nature, origin, location, availability, transaction or ownership of assets, rights or valuables that are connected to any criminal activity. Individuals involved in tax fraud are subject to the penalty of imprisonment from two to five years, plus a fine. In the case of money laundering crimes, the penalty is of imprisonment from three to ten years, plus a fine. Given that these are separate crimes under Brazilian law, the penalties may be aggregated. In the case of tax fraud, it is also worth mentioning that the Brazilian tax authorities may initiate an administrative proceeding leading to a tax assessment of the uncollected tax increased by fine of up to 150 per cent plus interest. As a general rule, financial intermediaries are required to maintain proper identification of their clients and to adopt adequate and updated record keeping systems for such client information, as well as afford special attention to transactions that may serve as substantial indicia of crimes. Considering the recent attention to private banking transactions with non-declared funds by Brazilian residents, it is advisable that financial institutions also request to their clients proper documentation evidencing that the client funds are in compliance with tax reporting obligations. cancellation or suspension of the authorisation or licence to operate. There are no legal distinctions in Brazil between types of client for private banking purposes. In any event, CVM regulations establish three categories of investors for purposes of the Brazilian financial and capital markets in general. The CVM rules set forth the criteria for the characterisation of qualified and professional investors, being retail investors understood as those that do not fall under the previous categories. Pursuant to the ANBIMA Private Banking Code, however, regardless of how clients are categorised by the institutions, in order to be eligible to have access to private banking services, such client must meet the minimum investment capability of the equivalent to 1 million reais. The main consequences of the regulatory client segmentation are applicable to the Brazil investment fund industry. Even though there are no carve-outs for HNWIs in connection with private banking, such segmentation may be useful for purposes of compliance with suitability rules. All services rendered on the Brazilian market are governed by the Brazilian Consumer Protection Code, including those of banking, financial, credit and securities nature. Therefore, consumer authorities are likely to understand that the Brazilian consumer laws also govern private banking and wealth management relationships. However, the Brazilian Consumer Protection Code does not contain any specific provisions concerning financial services or products. It provides, on the other hand, for general and broad principles that apply to any products and services offered in the consumer market. As a general rule, these provisions are based on the assumption that consumer is always the weaker party in the relationship. Notwithstanding the above, given that private banking and wealth management activities usually engage only very experienced and sophisticated investors, there are good arguments to sustain that such overqualified investors are not subject to the protection of Brazilian consumer rules. Assuming that Brazilian consumer rules do indeed govern private and wealth management banking relationships, it should be stressed that agreements must be written in Portuguese and worded in a way that makes it easy for investors to understand its content. Any provision limiting investors’ rights or creating obligations should be highlighted and printed in bold or capital letters. In case of any ambiguity, the relevant provision would be interpreted in favour of the investors. The Brazilian Consumer Protection Code also provides that contractual provisions are not binding to consumers in case they are not aware of such provisions before entering into the agreements. Therefore, all risks related to the product or service must be clearly and fully disclosed. Any provisions limiting the institution’s liability would be considered null and void. There are strict foreign exchange controls on the inflow or outflow of funds into or out of Brazil. Under Brazilian regulations all foreign exchange transactions must be carried out by a local financial institution authorised by the Central Bank of Brazil to deal in exchange, and a relevant foreign exchange contract must be signed. Therefore, the Brazilian real is not a freely exchangeable or convertible currency within the international financial market. Furthermore, Brazilian individuals and legal entities are generally not permitted to hold foreign currency in Brazil. Brazilian law does not generally impose any restriction on cash withdrawals. There are, however, strict foreign exchange regulations in place that may impact withdrawals in foreign currencies. Notwithstanding the above, Brazilian bank customarily impose restrictions on account withdrawals for security reasons. In addition, withdrawals in unusual amounts may be subject to reporting to COAF. Brazilian law does not generally impose any restriction on other withdrawals. Cross-border private banking services are not subject to regulation under Brazilian law, since they are carried out outside of Brazil. Brazilian law does, however, contemplate the concept of ‘doing business in Brazil’ from a tax and banking perspectives. In that regard, an entity carrying out cross-border private banking services into Brazil should be careful whenever marketing and conducting its activities in the country in order to avoid being viewed as carrying out banking activities in the country without the proper licence from the Central Bank of Brazil. In addition, foreign securities are subject to regulation that affects the possibility of their offering in Brazil. Under Brazilian law, it is necessary to obtain a registration with the CVM for purposes of conducting a public offering in the country. Given the fact that foreign securities are generally not eligible for registration in Brazil, there are no Brazilian registration requirements or licences that could be obtained in order to offer such securities publicly in Brazil. As a result, foreign securities can only be marketed and sold in Brazil on a private placement basis. Brazilian law, however, does not provide a definition of what constitutes a private placement of securities. In other words, there is no ‘safe harbour rule’ as to what constitutes a private placement in Brazil. Consequently, the concept of private placement is based on what would not constitute a public offering under Brazilian law and, therefore, would not require registration with the CVM. Any party intending to market and sell unregistered securities in Brazil on a private basis should, thus, be very careful about the means and methods to be used in connection with such activities in order to mitigate the risk of questioning by the CVM. In summary, any contact or communication with investors in Brazil should be made on an individual one-to-one basis. The same applies, by analogy, to the offering of wealth management services to Brazilian residents by foreign entities. There are no licensing requirements for cross-border private banking services into Brazil; see question 25. There are no forms of cross-border services regulated under Brazilian law; see question 25. Employees of foreign private banking institutions may travel to meet clients and prospective clients in Brazil provided any contact is made on a strictly private basis, as explained in question 25 above. There are no licensing or registration requirements for such purposes. Foreign private banking institutions may send documents to clients and prospective clients in Brazil provided they are individually sent to investors following an initial contact. This means that documents should not be sent indiscriminately to a number of investors on a mass distribution basis. There are no licensing or registration requirements for such purposes. Individuals considered as Brazilian residents for tax purposes are currently required to file, on an annual basis, an income tax return to the Brazilian tax authorities between March and April of every year. In such ancillary tax return, the Brazilian individual will have to disclose the income ascertained during the calendar year of reference as well as all the assets, rights and liabilities held by the taxpayer at the end of the calendar year, including assets and rights located abroad. Specifically for offshore investments, Brazilian individuals with investments abroad in excess of the equivalent of US$100,000 are also required to file, on an annual basis, a declaration to the Central Bank of Brazil reporting all assets and rights held abroad with the respective investment market value. However, if the individual maintains investments abroad on a total amount in excess of the equivalent of US$100 million, the investor must file the Central Bank declaration on a quarterly basis. Brazilian financial institutions are generally required to file, on a biannual basis, an ancillary tax return (e-financeira) with information on their clients, both domestic and international. The required tax information shall comprise, among others, the client’s identification information, the final balance of the investment accounts and the income ascertained during the period. It is worth mentioning that financial institutions will only have to disclose such information if the total amount negotiated by the client each month or if each monthly balance of the investment exceeds 2,000 reais for individuals or 6,000 reais for legal entities. The threshold mentioned above shall be considered separately for each kind of investment held by the client. No. Brazilian tax legislation provides that financial institutions must disclose the required tax information about their clients, regardless of any consent. There are no typical legal structures designed for holding private assets in Brazil. Private assets are generally held directly by individuals, which, as a general rule, are also subject to lower tax rates than legal entities in the country. Notwithstanding the above, in the case of professional investors, it is possible to hold private assets through exclusive investment funds, that is, investment funds with a sole shareholder, or through closed-ended investment funds. Such structures commonly represent higher costs for investors; however, they provide the possibility of deferring the payment of taxes until the redemption or amortisation of fund shares. For purposes of establishing a private banking relationship in Brazil with any structure, Brazilian KYC standards generally require (i) the identification of individuals authorised to represent the structure, as well as the ownership up to the up the ultimate beneficial owner, and (ii) the name, identification and tax ID of the structure. adoption of rules, procedures and controls in order to identify the origin of the funds involved in transactions carried out by clients and beneficiaries identified as politically exposed. The Brazilian Corporation Law defines a controlling shareholder as an individual or legal entity, or a group of persons bound by a voting agreement or under common control, which: (i) holds shareholder rights ensuring, on a permanent basis, the majority of votes in general meeting resolutions, as well as the power to elect the majority of the company’s management; and (ii) effectively uses its power to direct the company’s activities, as well as to guide the operations of the company’s bodies. Brazilian investment funds are subject to registration with the CVM and generally require a fiduciary administrator, a discretionary asset manager and a custodian, among other service providers, in order to operate. Private banking and wealth management contracts are not specifically regulated by local legislation. Therefore, they may typically assume the form of investment advisory agreements, bank account agreements and asset management agreements. Brazilian law provides, as a general rule, that obligations arising from acts of the parties are governed by the law of the country in which they are created. Nevertheless, the parties are generally free to choose another law to govern their relationship, to the extent that such choice of law does not violate Brazilian national sovereignty, public policy or good morals. For example, local courts could consider the choice of law clause null and void if they understand that the Brazilian Consumer Protection Code should govern the relationship. Under Brazilian law, the general liability standard of individuals and entities depends on the evidence of: (i) that the act or omission has been carried out negligently or maliciously; (ii) a loss actually suffered by a third party; and (iii) the causal relation between such act or omission and the actual losses suffered by the third party and its extension. The burden of proof shall fall upon the victim of the loss, who must evidence the relation between the fact and the damage suffered. Nevertheless, the burden of proof is inverted in the case of a consumer relationship, thus falling upon the alleged faulty party. Provided the contract is not governed by the Brazilian Consumer Protection Code, parties may generally be free to vary the liability standards by contract. There are no mandatory provisions imposed by law or regulation with regard to private banking and wealth management contracts. Such contracts may, however, be affected by sparse regulations from the Central Bank of Brazil applicable to banking contracts in general. The statute of limitations for civil liability for claims in connection with contracts in general is of three years. This period cannot be varied contractually or waived. The Brazilian Federal Constitution ensures the inviolability of one’s privacy, private life, honour and image. The Brazilian Civil Code provides for a general protection of privacy as well, by determining that the privacy of individuals is inviolable. Banking secrecy is also specifically contemplated under Brazilian legislation, pursuant to which financial institutions must keep confidential all of their credit and debit transactions, as well as the services rendered thereby. Client’s personal data and documents, as well as their financial information and services rendered. Banking secrecy can be lifted either through the client’s specific consent, or in the case of: (i) exchange of information between financial institutions or ancillary entities for credit protection; (ii) disclosures determined by law or ordered by a competent authority; and (iii) disclosures authorised by the interested parties. Breach of banking secrecy may subject financial institutions to penalties in the civil and administrative spheres, in addition to their directors, officers or similar managers, as well as its audit committee members, who may also be held criminally liable for their actions. The ordinary judicial courts are the legal competent authorities for resolving disputes related to private banking relationships. Parties may also elect to resolve disputes via arbitration. In any event, it is worth mentioning that the Central Bank of Brazil and the CVM may, as a result of complaints received or ex-officio, investigate potential malpractices. In these cases, an administrative proceeding would be initiated with the purpose of sanctioning the regulated entity. Both agencies may also cooperate with Brazilian courts in judicial proceedings involving matters of relevance. As mentioned above, even though private banking disputes are not subject to disclosure with local regulators, it is possible for a client to lodge a complaint with the Central Bank of Brazil or the CVM, as applicable. Regulators may initiate an investigation either ex-officio or based on complaints received from the public. The investigation may lead to an administrative proceeding initiated against the regulated entity, the decision of which is appealable at the regulator level, as well as with the judicial courts. The Brazilian wealth management regulatory framework has been subject to significant modernisation and will likely to lead to significant development of the industry. 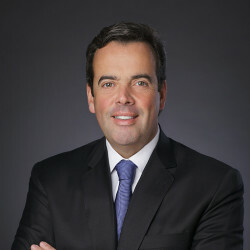 On the other hand, even though financial institutions are extensively regulated and supervised by the Central Bank of Brazil, there are no specific rules governing this type of business, which creates several uncertainties for market participants, especially with regard to assisting private banking clients with offshore investments. Finally, we note that Brazil has recently developed stricter rules for the development of other activities, such as investment advisory and discretionary asset management. In our opinion, the trend towards tighter regulations in other sectors, such as private banking, may follow.